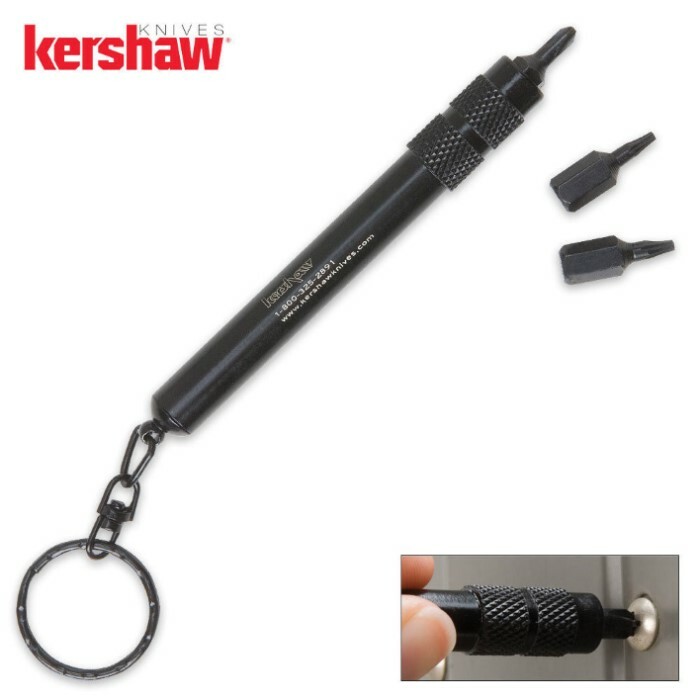 This tool is great for changing the position of your pocket clip or just tightening your knife on occasion. It includes a section of 6-lobe bits, T6 and T8, plus a Philips head driver. Conveniently, they all store in the aluminum Teflon coated handle. Tip is magnetized, which makes it easier to change bits. The T-Tool also includes a removable key chain ring. This is a really handy tool to have hanging on your side. It's a bit hard to ust\e it as is for me but I have a utility knife that works perfectly with it so it gives me more variety. The little key chain attachment broke on but that is to be expected so it was an easy fix. Overall I give it a 4/5. It's a nice little tool. It does exactly what it supposed to do. It's extremely convenient to be able to disassemble and reassemble a knife wherever you're at. Functions perfectly. A compact and solid little tool. Worth twice the listed price... definitely a must have. It is advertised as a tension and speed adjustment tool- but can be used to completely disassemble most knives (folders & spring assists.) Thanks True Swords! Love it it does everything you could every need it to and its good and strong. Excellent product. It's small and convient to carry, and performs its job exactly like its supposed to. If you have trouble screwing it back together, just face the bits down facing the magnetic end.